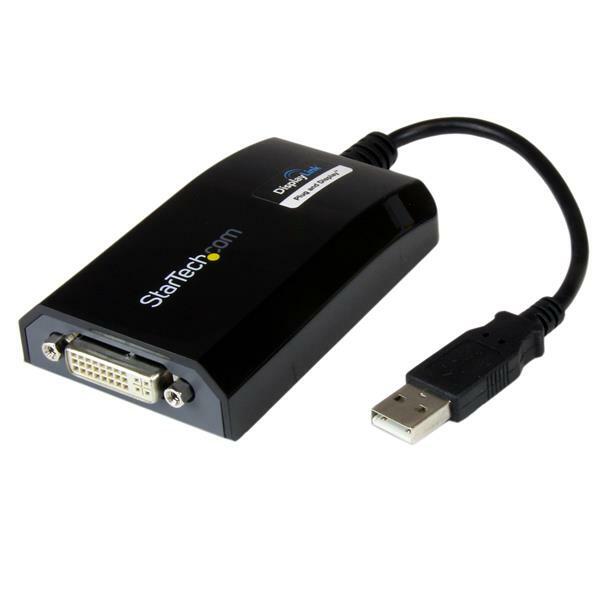 The USB2DVIPRO2 USB to DVI Adapter functions as an external graphics card for Windows® and Mac® computers - the perfect solution for turning your desktop or laptop computer into a dual or multi-monitor environment, all through the simplicity and convenience of USB. 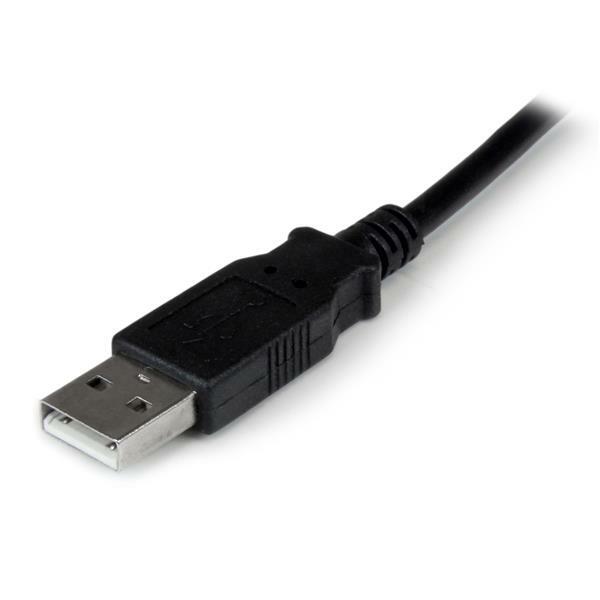 The USB-DVI Adapter delivers high quality video (up to 1920x1200) for a variety of applications and is capable of simultaneously running up to five additional displays from a single computer (using four USB2DVIPRO2 External Video Adapters). The adapter connects to a host computer through a USB 2.0 port, acting as an external DVI video card to either extend or mirror the desktop shown on the existing display - without having to open the computer case. 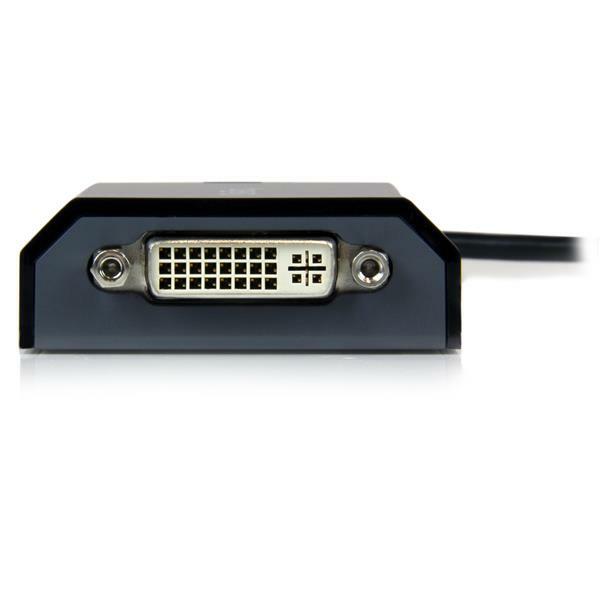 Featuring driver support for Microsoft Windows® (including Aero themes) and Mac OS X, and with video support for resolutions up to 1920x1200, this USB-DVI video adapter is the ideal solution for a wide rade of operating environments as well as large-screen displays/monitors. 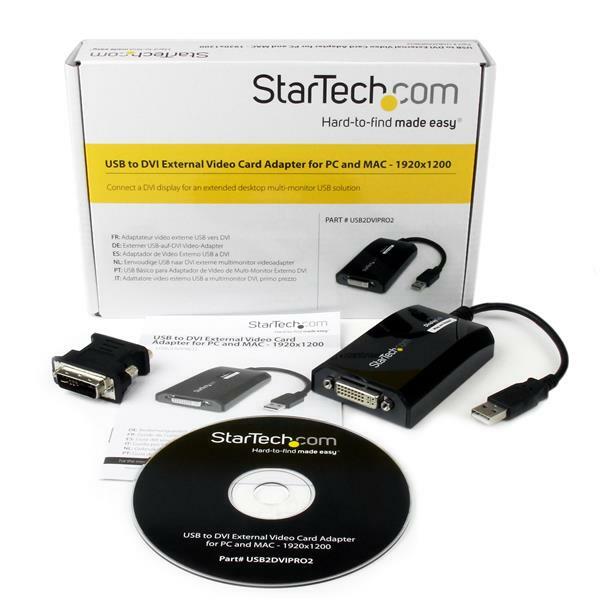 The USB2DVIPRO2 USB to DVI Adapter is backed by a StarTech.com 2-year warranty and free lifetime technical support.